Britain’s new aircraft carrier HMS Queen Elizabeth will sail to the Pacific on its first mission, Defence Secretary Gavin Williamson revealed today. Mr Williamson revealed the deployment as he said Britain must demonstrate its commitment to ‘hard power’ when standing up to Russia and China. At a speech in London, Mr Williamson revealed a £7.3million plan to buy ‘swarm drones’ which can be used to overwhelm enemy defences. He also said two ferries will be bought and converted into warships to bolster the Royal Navy. The projects will be funded from a ‘transformation fund’ intended to create state of the art technology for the Armed Forces. In a speech to the Royal United Services Institute Mr Williamson warned Britain was prepared to use ‘hard power’ against its enemies. He told China and Russia there was a price to flouting international law and insisted Brexit was a moment for Britain to step its international leadership role. The Defence Secretary was branded an ’embarrassment’ and accused of offering a ‘second hand Navy’ this afternoon. The Defence Secretary insisted the new ‘Littoral Strike Ship concept’ boats would create a rapid response capability for Royal Marines that can be deployed globally. 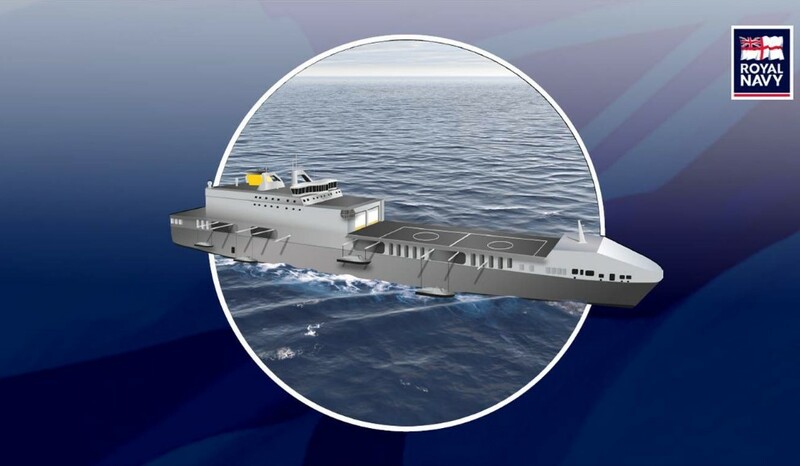 He said: ‘These globally deployable, multi-role vessels would be able to conduct a wide range of operations from crisis support to war fighting. He said the two ships – one of the first investments from the Transformation Fund – could be based to the east of Suez in the Indo-Pacific and to the west of Suez in the Mediterranean, Atlantic and Baltic. It is understood the Ministry of Defence (MoD) is considering using cargo ships or ferries, with the existing hulls converted and ultimately able to deploy assets from them including fast boats, landing craft, helicopters and special forces. They could be used in hostage rescue situations, humanitarian disasters, intelligence surveillance and could intervene in situations in an agile way, the Press Association understands. The vessels may be bought outright or leased, with the adaption carried out by British companies. The cost is believed to be into the tens of millions. 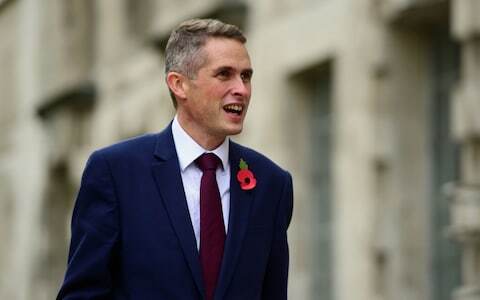 Labour MP Martin Whitfield, a supporter of the Best for Britain campaign, said: ‘The Defence Secretary can’t help but embarrass himself. This is the safety of our country we’re talking about, not overselling the credentials of a fireplace. ‘Brexit Britain means a secondhand navy made up of old ferry ships. It’s not going to scare Russia and it’s not going to see us rule the waves once more. Mr Williamson also announced plans to ‘develop swarm squadrons of network-enabled drones capable of confusing the enemy and overwhelming their air defences’. The devices could be deployed as soon as the end of this year, Mr Williamson claimed. Mr Williamson claimed actions by China and Russia have blurred the boundaries between peace and war. Warning ‘state-on-state competition was reviving’ Mr Williamson said: ‘Russia is resurgent – rebuilding its military arsenal to bring the independent countries of the former Soviet Union like Georgia and Ukraine back into its orbit. He added: ‘We have to be ready to show the high price of aggressive behaviour,’ Mr Williamson said.